Special oil-absorbers sop up surface shine, moisturisers, hydrate where you need it and Broad Spectrum sunscreens block damaging UVA and UVB radiation. Willow Bark: Provides a natural source of Salicylic Acid. Silicones: Soothe and protect skin from drying out due to oil absorption. Burdock Root Extract: Helps hydrate and calm the skin. I am by no means a teenager but this moisturiser really suits my oily t-zone. It really is moisturising without overloading my skin and a nice 'matte' finish. I highly recommend this for people with oily skin or t-zones, it is my absolute go to every morning. Keeps my teenagers skin looking good. Not oily, great sun protection. After having a bad reaction to clear start's other moisturiser (which I used to use all the time, sadly), I tried out this one. It is nearly the same, but slightly better as it has spf which I need! I find that my face does still get slightly oily around the t zone after a long day, but aside from that it's lovely. 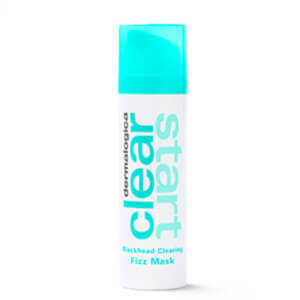 I know this is meant for teenage skin, but I still always go back to the clear start range.